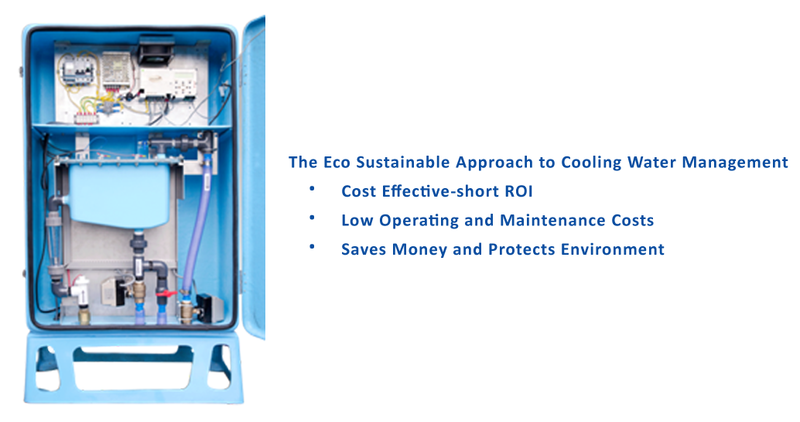 Evaporative cooling towers are very popular as they provide the most cost effective cooling technology for industrial processes and commercial airconditioning. The treatment and control of cooling tower water is often neglected, which is then responsible for substantial problems due to increased energy and water usage, downtime, equipment breakdown, environment violations and safety/health hazard. Before DCI, the common method of treatment for these problems required the use of chemicals which are expensive, ineffective and environmentally unfriendly or by worthless pseudoscientific Non Chemical Devices (NCD). DCI uses simple and yet effective electrolytic chemistry. No magic! Using our unique patented and Singapore Green Building Council (SGBC) accredited process, DCI, effectively deals with the above problems eliminating the use of harmful chemicals. DCI also produces biocides mainly chlorine and hydrogen peroxide which by itself would disinfect the bio-species such as Legionella Bacteria, Algae and Bio-film. However, due to bio-mutation that would resist sterilization over time under the same environment, we recommend occasional dosing of another biocide, at various shock/shot dosage from an external source (a requirement by most Government Health/Environment Agencies regardless of treatment method adopted) to effectively disinfect the water at all times. Chemicals saving- such as anti-scalant, corrosion inhibitors and etc. Supply ‘Design-and-Build Finished Parts’ by Combining Our Design Capabilities, polymer specialization and applications knowledge.